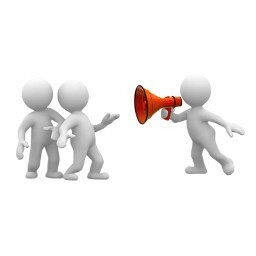 There are a few inviters on the market which are capable of inviting members to the site from other social networks or via email. But none of them are capable to invite site friends to content pages. 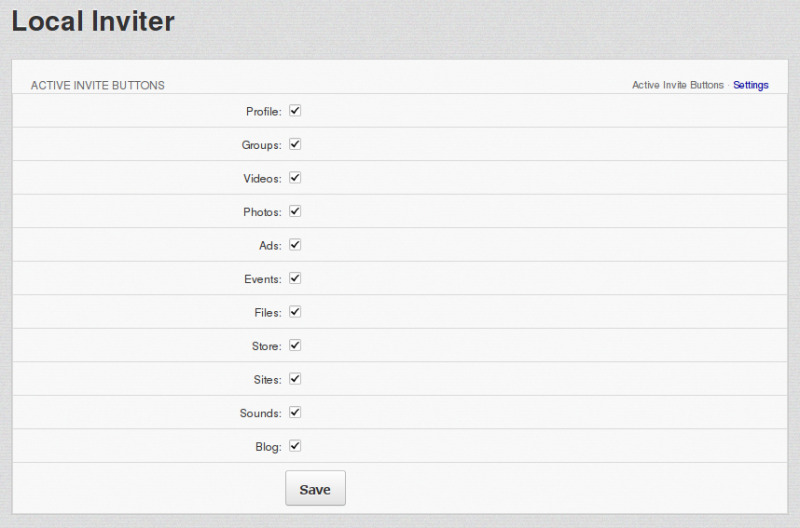 For example using this module the one can invite any or all of his friends to check out some profile page. And that invitation is hard to ignore even if a member is not checking his email quite often. By clicking that button a logged in member could see a paginated list of all of his friends in a nice AJAXed popup. 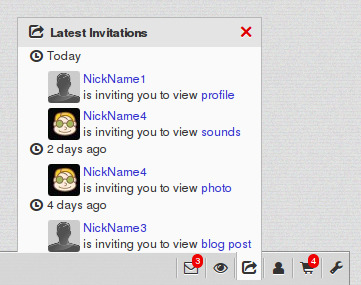 In that popup a member can select any number of his friends, even all if he wants to and then send an invitation. 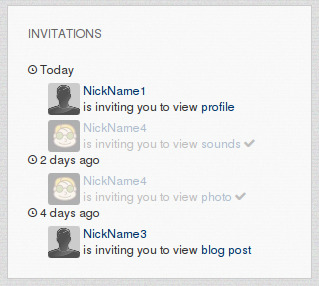 A member could see an invitation in a member menu as a number of invitations he didn't accepted yet. 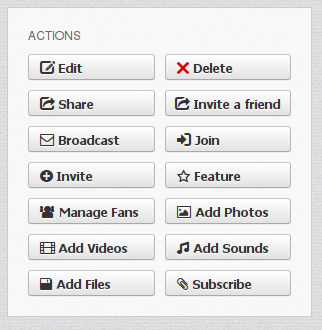 By clicking on that icon a member could see all invitations. Each invitation is basically an author and a link to the page he is inviting to. Besides of that all invitations including those already visited are then listed in a page block in My Account page of a member. Thus this module adds one more way of interactions for members of your site. This way friends on the site can share links to content pages easily and directly on a page without any necessity to go to the compose a message page. Great module very very simple to add no core changes or files needing to be edited. apart from a folder in modules if you have never had aqb modules before. this is a product that boonex has been missing. currently you can invite friends from outside dolphin to your item shared on dolphin but you could never share with your other friends on your own network. which kept the user interactions right down. This inviter solves this problem in a very easy and user friendly way. ITS A MUST BUY MODULE see more FOR ANY SERIOUS NETWORK. Very useful, nice mob as always!! As others have said. The module does that it says. It works, its easy to install, and users seem to figure it out pretty quickly. Thanks. We greatly appreciate your opinion!